Two things stand out when watching Mr Robot. At first, the hacking. I don’t know if you ever accidentally watched CSI cyber, If you ever did, I feel for you. But the hacking in CSI cyber is completely different than the hacking in Mr Robot. The hacking in CSI is SO bad that Wired even wrote an article about it. 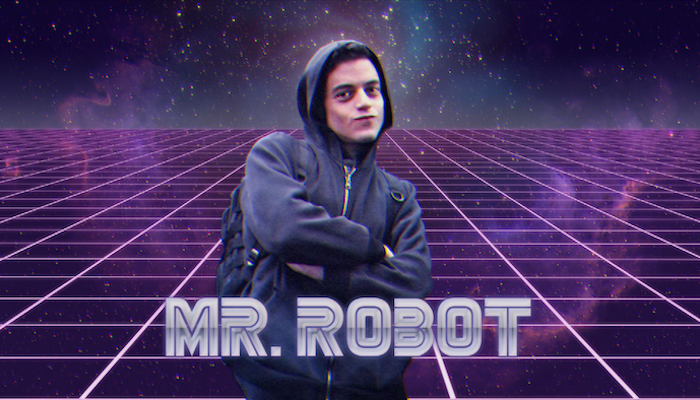 Watching Mr Robot is a completely different experience. It’s obviously better than the hacking you normally see in movies and series and I am pretty sure that the producers of Mr Robot put in a 200% effort to make the hacks look as realistic as they do. For example, at the beginning of Mr Robot, Eliot (The main character and hacker in the series) sits in a coffee shop, talking with owner. It doesn’t take long until he opens up and explains that he intercepted all the traffic going in and out of the coffee shop and found out that the owner of the shop actually hosts a website on TOR. He then starts to explain that whoever is in control of the exit node also is in control of the traffic, which makes him the one in control. If the website didn’t support https this is indeed a potential scenario, but otherwise it would be a lot harder. Also, the tools and vulnerabilities used in Mr Robot are widely known in the security industry. These include for example tools like Kali Linux, Jack the Ripper and vulnerabilities like Shellshock. They went so far with the casting the right tools that Protonmail even build a feature special for Mr Robot (which is now also widely deployed for everyone). This just screams “awesomeness”. I think that everyone who has something to do with security will like Mr Robot. Even if you don’t like the script (But trust me, you will like the script, it’s great) it’s still worth to watch especially for the tricks and tools used. So, If you don’t know which series you should watch, I’d be happy to help you. You can contact me via Twitter at @smiegles.